Many chefs say that a meal at this Barcelona restaurant is the closest you can come to eating at the famed Catalonian restaurant that shut its doors in 2011. While reservations were nearly impossible at El Bulli, walk-ins are welcome here. In the late 1990s, three men met in a small village overlooking Catalonia’s Costa Brava. There, they worked as head chefs of the legendary El Bulli, named the best restaurant in the world for a record five times. When El Bulli closed in 2011, these three chefs—Eduard Xatruch, Mateu Casañas and Oriol Castro—opened a restaurant of their own. At first, this took the form of Compartir, a restaurant located in the 18th-century home of a loyal El Bulli customer, up the coast in the town of Cadaqués. 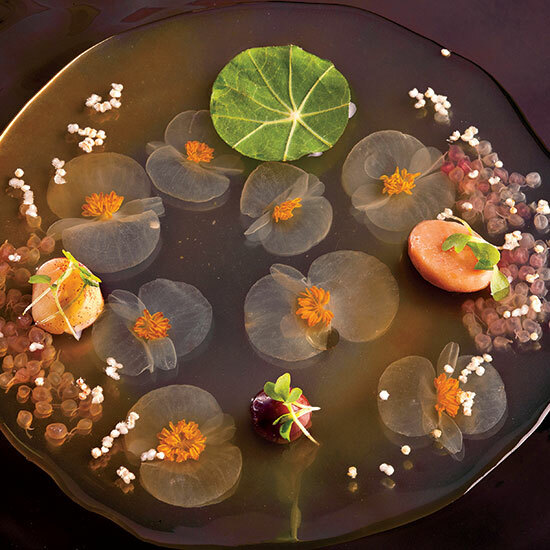 In December 2014, they opened Disfrutar in Barcelona, where they used the techniques they mastered at El Bulli for eighteen years with the aim of making this of elevated, experimental cuisine more accessible. 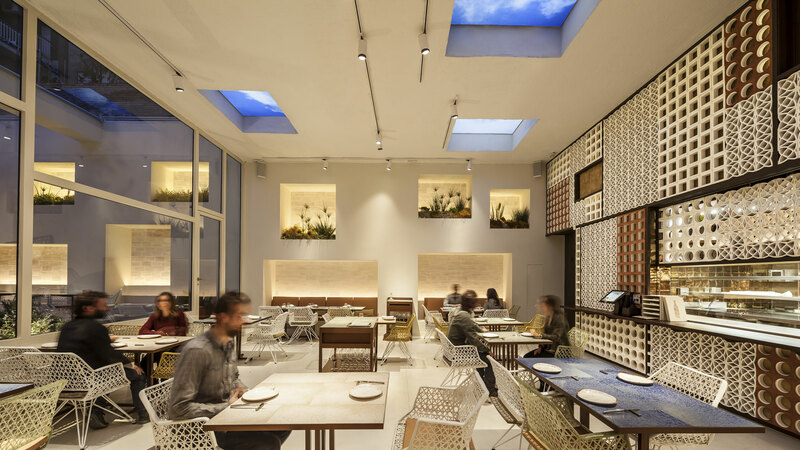 Disfrutar’s open kitchen, made of soft-pink brick, and the white walls of the dining area are a nod to the small fishing villages of Cadaqués. There is an outdoor patio, and although it is partly covered, you can still feel the warmth of the night air. Here, Xatruch concedes that while taste and creativity are essential to any restaurant, the people are most important to him. Instead of traveling to the small village of Roses, customers can find Disfrutar located in Eixample, a district near the center of Barcelona. While reservations were nearly impossible at El Bulli, walk-ins are welcome here. 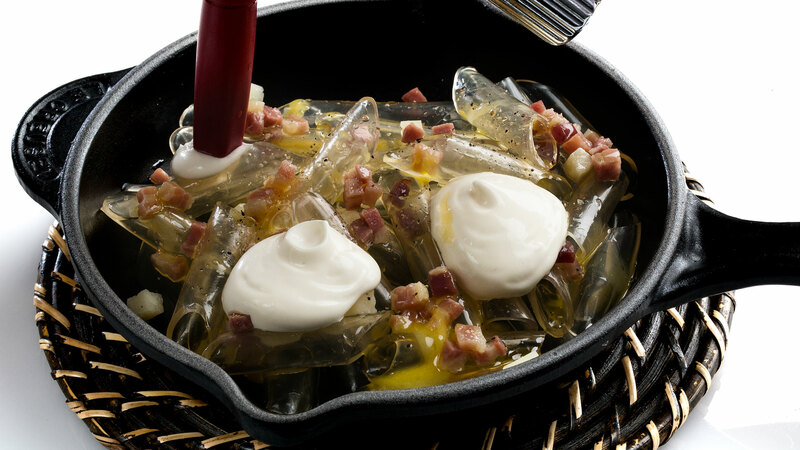 But Disfrutar, like El Bulli, is also distinguished by its quick success. At the end of 2015, just a year after opening, Disfrutar earned its first Michelin star, and in 2017 the restaurant was listed 55th on the World's 50 Best Restaurants list. Still, the chefs aren’t done fooling around with the concept. Below the dining area lies a spacious basement lined with whiteboards and bookshelves, where there are models and photos of every meal, along with binders of recipes organized by year. The space serves as both a museum of their past and a thinking hub for future inventions. The chefs have even started working with a local design school to reimagine how their food is presented. Originality is the organizing principle at Disfrutar, where you can taste a clear gelatin macaroni, deconstructed ceviche and a “tarta al whiskey,” for which you extend your hands to be drenched in whiskey before tasting a custard fried in sugar. Although Xatruch is intent on moving forward, he recognizes how deeply El Bulli has influenced his life. And sometimes it is more important to think than to eat, although at Disfrutar, it’s almost impossible to distinguish between the two.